This year is almost over, time flies!!!! .. it is incredible few months ago we ‘re sharing in our personal site … telling you all our experiences and blessings of last year … And now one month to finish this year … How crazy it is…!!! God has definitely been faithful, his work continues.. his Kingdom is being established and continuing on Earth as it is in heaven. We have no words to describe that although times are tough and this continuous acceleration of this world …. we have a great hope in Him, that He provides for us the person of the Holy Spirit in our lives, the best and highest quality guarantee / assurance in life. He is the one who lead us to walk in Freedom, in complete obedience and his truth. B.C.C ( BIBLE SCHOOL) Week #10!! The bible school has been a great time of revelation and study of God’s word. A challenging time, really busy and tired!! But is certainly very rewarding in my personal relationship with Jesus. These last few weeks we have studied the books of Jeremiah, Revelation, John, Hebrews and others. Personally (Tony) the week of study the book of Revelation, has definitely been one of my favorites, as my perspective of thinking in this book, in the context of the future for today. God spoke to me a lot , through this book as He is interested in giving us the revelation of this book “today”. We feel grateful for our classmates, we enjoy time not only going deeper into the word, but growing together in our relationship with God. We have the blessing of having a BBQ in our home and just hang out as friends! During our time of intercession as a school, God led us to pray for outreach. God has confirmed for the first time for this school ( after 7 years ) to send an outreach team to Liberia, Guanacaste. We are excited about this time, with high expectations of what we feel will be “preparing the ground” to what God is doing in YWAM San Jose and in our lives 🙂 A team of 6 of us , will be two months in Liberia with the heart of imparting everything received in the bible school – Work with local churches, developing bible seminars, work with youth in Liberia and around. When the school ends we will be packing up our house and moving to Liberia, super excited after eight years …. finally we will returne home!! We want to ask you to Join our prayer team, december would be a month of transition in the middle of moving our house, the last two weeks of school, projects and final exams. Rosse also will be transitioning her responsibilities as Personnel coordinator in our base. Impacto Liberia, activity that will take place the first week of January, where we are still preparing meetings,planning .. much work to do. We do really need prayers, as well as spending the holidays with our families and friends!!! more than thankful to God for all He has done in us and what’s He is doing …. but super excited for what He will do starting the 2015. We will be sharing more… as we travel to Liberia 🙂 🙂 More to come!! If you would like to know more how you can help Jimmy, please email us. He is raising $3000. 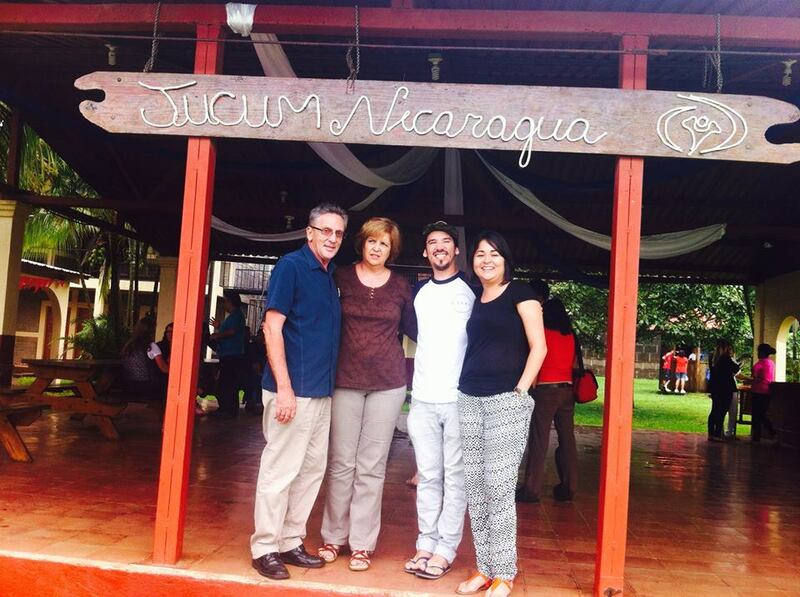 We had the blessing of traveling to Ywam, Nicaragua to join the celebration of the 25 years anniversary. Such a amazing testimony of faithfulness and sacrifice of love and obedience to God. Rosse was invited to teach in the topic of Spiritual Warfare in Ywam Nicoya, was her first time teaching in this base, lovely time and sharing with the students, as they move forward to go on outreach. 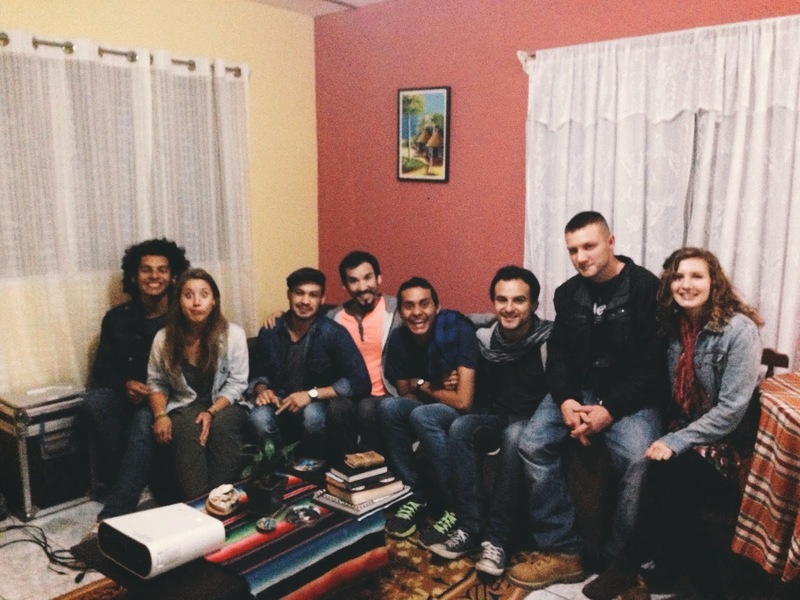 Thanksgiving in Ywam San Jose !!! As we’re heading to the last month of this year, we want to share with you our gratefulness for walking with us in this journey… for all your love and support… around the world!! From Germany to Brazil to Canada 🙂 and many others … all the way… to Costa Rica our tiny but huge nation… we call home! Thank you!! you’re in our hearts!! Pura Vida!! ← Impacto Costa Rica 2015 !! Iniciando en Liberia!! Mae y entonces van pa Liberia mae? mi mama algo me dijo, pero ya de fijo loko? bueno que tuanis que pueden estar cerca de la family y hacer Ministerio en Guana mae, esta tuanis y Dios primero todo saldrá bien mae! Pura vida mae & hablamos chayanne! jeje!